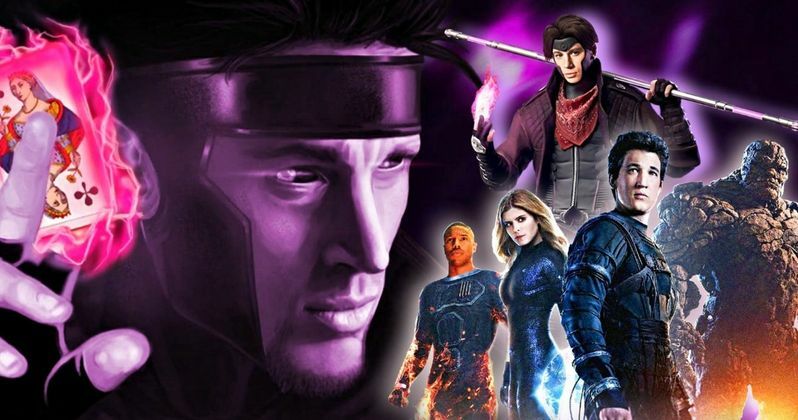 For years now, Channing Tatum has been trying to get his Gambit movie made and, unfortunately, it's probably never going to happen. However, it was literally weeks away from filming in 2015 before the plug was pulled unceremoniously by Fox. And why was the plug pulled, exactly? According to director Rupert Wyatt, it's all thanks to Fantastic Four. Rupert Wyatt (Rise of the Planet of the Apes) is currently making the rounds to promote his upcoming movie Captive State. Wyatt is just one of several directors who was attached to direct Gambit at one point or another. Doug Liman (Edge of Tomorrow) and Gore Verbinski (Pirates of the Caribbean: Curse of the Black Pearl) also spent time with the project. Wyatt, however, it would seem, was the closest to actually getting the thing made, per his statements from a recent interview. Here's what he had to say about it. "I was very close with Channing Tatum and his producing partner Reid Carolin, and I was on the script with him and Josh Zetumer as a writer. We were close, I believe 10 weeks away. It simply came down to budget. There was not enough. You know all too well about the politics of the business. Fantastic Four had been released by Fox a month before and had not gone well for them, so our budget was slashed quite considerably. The inevitable, from my perspective was, 'Well then we need to rewrite the script to tailor to our budget,' but we were too close to a start date for Fox to really want to go there, so unfortunately, it just didn't work out." Josh Trank's 2015 Fantastic Four reboot was, in every way, a disaster. The movie grossed just $167 million worldwide, working from a very steep $120 million budget. It's also been lambasted by critics, currently sitting at just 9 percent on Rotten Tomatoes. It's perhaps the best proof we have that the modern era of superhero movies provides no guarantees when it comes to success. With that, it's understandable that Fox would be a little hesitant to pull the trigger on a big-budget spin-off centered on a character that doesn't have the proven ability to bring in big bucks at the box office. Channing Tatum is a big star, yes, but that isn't really enough to sell a superhero movie on its own. We'd heard previously that budget was always a problem in getting Gambit off the ground and it sounds like this is really where that all began. Disney is closing in on their purchase of Fox, which should be finalized any day now. That means, ultimately Disney, and therefore Marvel Studios, will be in control of the X-Men moving forward. With that in mind, there is almost no chance Gambit ever sees the light of day. When last we heard, Channing Tatum was even looking to direct it himself if need be to get the project going before it was too late. Sadly, that didn't pan out either. This news was first reported by The Beat.